Imagine the salary a free agent could demand coming off of an All-Star year in which he led the league in walks and on-base percentage while slugging 28 homers. Teams would line up for his services, hoping to add that rare combination of offense to their lineup. There was one such a free agent available in the off-season of 2008, but nobody signed him that winter. In fact he never played another inning in the major leagues. 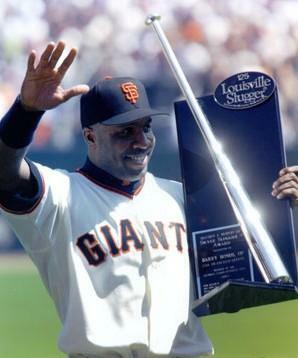 Such is the life when you’re Barry Bonds. Stories abound about of his black lounge chair and extra locker in his corner of the clubhouse at Pac Bell Park. His trial for obstruction and lying to a grand jury started last week with an admission of taking steroids and a far-fetched defense of never knowingly doing so. With his prickly personality, and prima donna attitude, Bonds can be a tough guy to like. He was no fan of the media. And as it turns out, he wasn’t always a fan of official scorers either. During his playing days, Bonds pulled the ball with such consistency that teams employed a defensive shift. The Dodgers adjusted by placing their second baseman in short right field, a position sometimes called “rover” in a wiffle-ball game. The shortstop would field the spot normally occupied by the second baseman with the third baseman positioned up the middle like a shortstop. It was a balmy 59 degrees on a Friday night in Los Angeles in mid-April, 2003. Dodger ace, Kevin Brown was on the hill and had had already given up four runs through the first three innings. The 54,799 on hand were not pleased. In the top of the fourth, Brown retired the first two batters before Rich Aurillia hit an infield single to third. Up came Bonds. The Dodger defense shifted, putting second baseman Alex Cora on the right field grass, 25 feet deep. Brown looked in to catcher Todd Hundley to get his sign, checked Aurillia at first, came set, and delivered to the plate. Bonds connected on Brown’s offering, scorching it to right field directly to Cora who missed the ball. Would it be ruled a hit or an error? The writers in the press box were unsure. Sure it was a play a major leaguer should make, but could Cora be charged with an error if the second baseman was playing rover in short right field? For Hartack, it’s about the play, not the individuals or teams involved. It’s never personal. His sole mission is getting the call right. In a post-game interview Bonds was miffed. He asked reporters how an error could be called on the play. After all, the second baseman never should have been there in the first place. Cora was charged with the error, but it was Bonds who was upset with the call. There was no convincing Bonds who complained about the call for the entire series. The Giants took two of three in Los Angeles and improved their record to a National League best 15-3. 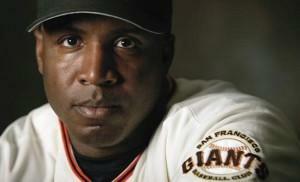 Bonds didn’t want to talk about his team’s hot start. All weekend long, Bonds wanted to talk about that play. He ended his career with 2,935 hits. The single-season and career home run champion wanted to play at least another year, and likely would have reached the 3,000-hit plateau. So why didn’t any of the 30 Major League teams secure the slugger’s services? Perhaps they all came to the same conclusion about spending a season with Barry Bonds. Sure they would receive his considerable baseball talent, but they’d also have to endure all that came with it. A great player indeed. What did he pioneer?